Shaker Road School’s Advisory Citizenship Program is at the heart of our social curriculum. During the past decade, we have tweaked, evaluated, and discussed the importance of such a program and its impact on students during their time at SRS and beyond. Over the years, I have used the monthly Citizenship Themes such as responsibility, tolerance, kindness, and pride to guide student discussions, resolve conflicts, and reinforce concepts that reflect our school’s mission. 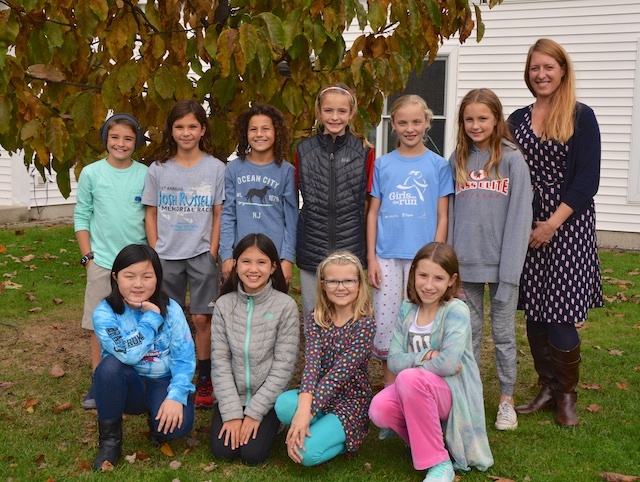 This past October, the Fifth Grade was given the task of writing a blog that focused on academic honesty, the Citizenship Theme of the month. I struggled with the organization and content of this blog for quite a while…asking myself, how do I accurately reflect the voices of 11 individuals in one blog entry? Will the Fifth Grade students be able to write a blog about academic honesty that is thoughtful and mature? Well, the answer is yes! So, instead of reading the ramblings of a Fifth-Grade Advisor, let’s hear from the people who will carry on these values beyond the SRS community. “This monthly theme is academic honesty where we learn how not to cheat on a test and it keeps you honest. October is a good time to discuss academic honesty because as you get more into the school year there will be more consequences. If you cheat on a lesson or unit you really are not learning, so any future lesson could be more and more difficult. You also would not understand the material because you are doing someone else’s work. In addition, you want to have pride in your work. “Our advisory program gives us a monthly theme that we work with for that whole month. This month of October we have learned that cheating is not the right thing to do. Now we are prepared for when the time comes when we must leave Shaker to go off to high school where if we cheat we could be asked to redo work or in college we could be expelled. October is a good time to discuss that cheating is not the right thing because as you get more into the year there will be more consequences for cheating. This is also true as you grow up. An example of academic honesty is in student elections for student government you should be honest about your abilities. Say I was running for secretary and I said I was awesome at typing but I really wasn’t. Then I got elected and I would have a lot of trouble keeping up with the conversation and be embarrassed. As I read through the students’ thoughts and opinions of our Citizenship Program, two things became clear to me. First, these students are aware of and see the value in our program. They can see the benefits beyond their time here at SRS and more importantly, how these lessons directly affect them and their peers. Second, education is so much more than reading, writing, and arithmetic…and I am fortunate to be part of a school community that encourages, discusses, and teaches the impact of honesty and kindness. These lifelong lessons will (and already have) influenced our future generations.